Night Dive Mogelijk Lights daytime Niet noodzakelijk wel aan te raden. Other points of interest Often there are a lot of safari boats. So there are normally a lot of divers. Especially at night an enormous number of tourches. 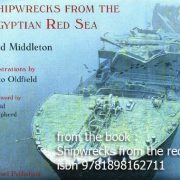 The ‘Thistlegorm’ is undoubtedly the most famous wreck in the Red Sea. She was one of several Thistle ships of the Albyn line. The launch in Glasgow in June 1940 was just after the outbreak of the Second World War. From the moment she was launched she was immediately used as an army transport ship. Armament was made on the back as a gunning platform. Due to shortage of guns, however, only an old 4-7-inch gun and a heavy caliber machine gun were placed. During the maiden voyage on the way back from the USA, it was decided to keep target practice. The second grenade did not fire. Attempts to fire it with a long rope resulted in a major explosion and the whole lot was dismayed. The bullet fell 50 meters further into the sea. That was the last time the gun was fired. In May 1941 she was loaded in Glasgow with supplies for the British 8th army to liberate Tobruk. Different types of trucks, armored vehicles, motorcycles, aero plane parts, all kinds of small spare parts, ammunition and much, much more. Two locomotives, two tenders and two water lorries were also loaded on deck. In the third week of September 1941 the ‘Thistlegorm’ arrived in the Gulf of Suez and was sent to the safe anchorage F, waiting there to be called in for unloading. However, the safe anchorage was not that safe. Until the sixties, the location was kept hidden, but then it was rediscovered and became the famous diving site of today. Partly due to the presence of many war materials, a dive on the ‘Thistlegorm’ is an unforgettable but impressive experience. Although the maximum depth is 31 meters, it is not a difficult dive. However, sometimes there can be a strong current. You have to take that into account. Diving on the ‘Thistlegorm’ always takes place from a boat so normally there is a descending line present, which makes descending and ascending easy. The actual real problem is finding the correct line again when it is time to ascent!. It is not uncommon to see divers emerge at the wrong boat. Not serious, but it is an experience that will hunt you for a very long time! Normally we make several dives on the Thistegorm so it is wise not to try to do the complete wreck in just one dive. There is so much to see that you will miss many beautiful things! Various routes can be followed on the wreck. 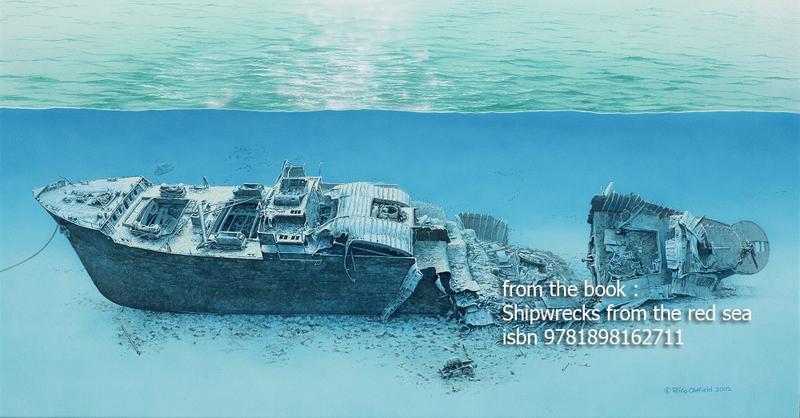 Our guides will be more than happy to show you around on this beautiful wreck.